To access the features below, you need the EmbedPress – Vimeo Add-On installed and activated. Autoplay: Automatically start to play the videos when the player loads. Loop: Play the video again automatically when it reaches the end. Autopause: Pause this video automatically when another one plays. 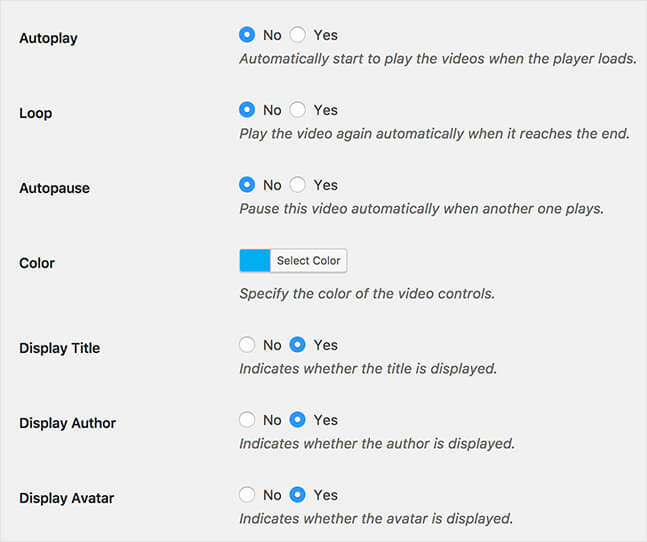 Color: Specify the color of the video controls. Display Title: Indicates whether the title is displayed. Display Author: Indicates whether the author is displayed. Display Avatar: Indicates whether the avatar is displayed. We recommend you to activate the license key to receive automatic updates for this add-on in future directly into your WordPress site. Read this tutorial to know how to activate your license.